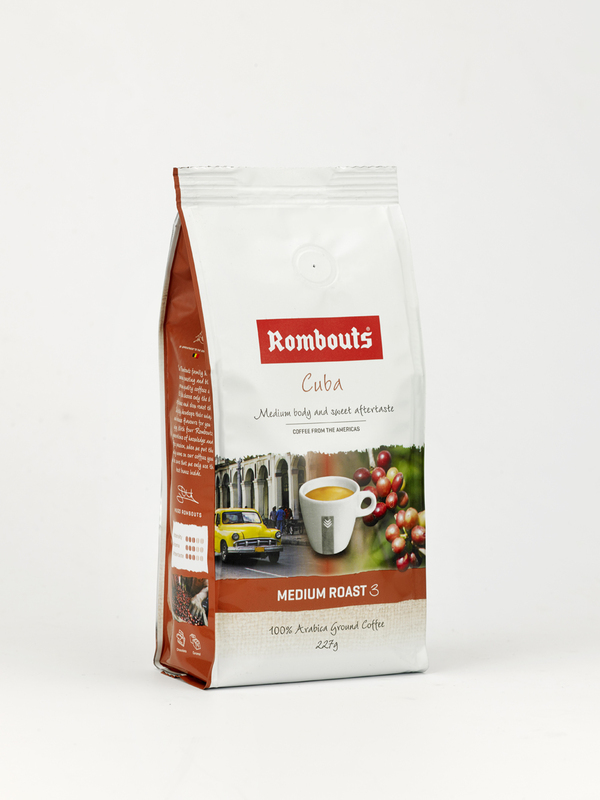 Rombouts Coffee and a Cautionary Coffee Tale. Once upon a time, my mother used to make coffee in a saucepan. She ground the beans herself in a little electric grinder that was kept specially for that purpose. And, she’d take the resulting muddy coffee grounds mixture and warm it gently in a large saucepan before pouring over just ‘off the boil’ water. Then wait for 5 minutes or so. Next, with a metal spoon, she’d gently cut across the grounds floating on the surface of the water so that the coffee fell to the bottom of the pan. Then, the liquid would be strained into a heated glass jug ready to be poured. It was something of a hit and miss exercise and I can remember mum’s guests looking slightly pained as they sipped the dark, unctuous (yes you really can use that word to describe mum’s coffee) mixture. She did have a bit of thing about fresh coffee and I know she used to make up proper coffee to use in her coffee walnut fudge recipe, which I still make today. In fact, I now have something of a craving for a batch! Then she discovered Rombouts and we all breathed a sigh of relief. Individual cup filters that you make by pouring over boiling water. I use them today because my rather posh bean to cup coffee machine doesn’t allow me to make fresh coffee for friends who want decaf coffee. They are great for travelling too, you can put a pack in your suitcase and make a proper cup of coffee wherever you are – even if your hotel doesn’t have one of those posh pod machines. 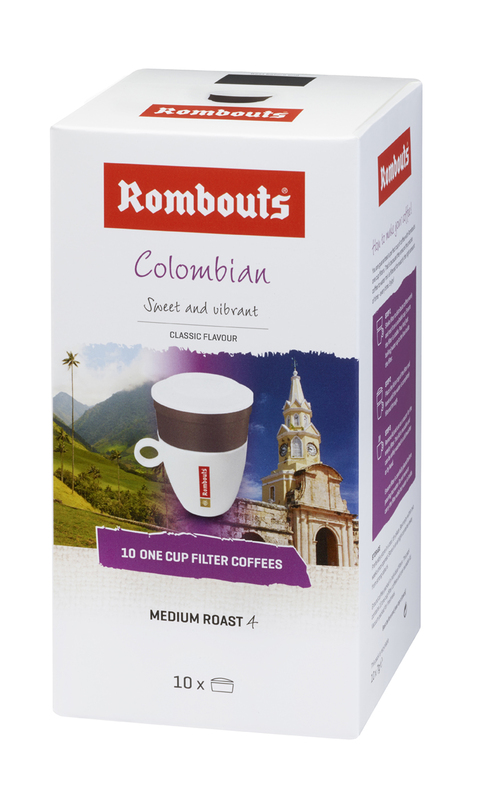 Rombouts now sells a whole range of other coffee products too. We’ve been particularly impressed by their own brand pod machine because they’ve designed their own biodegradable pods, and we’ll be reviewing that too. 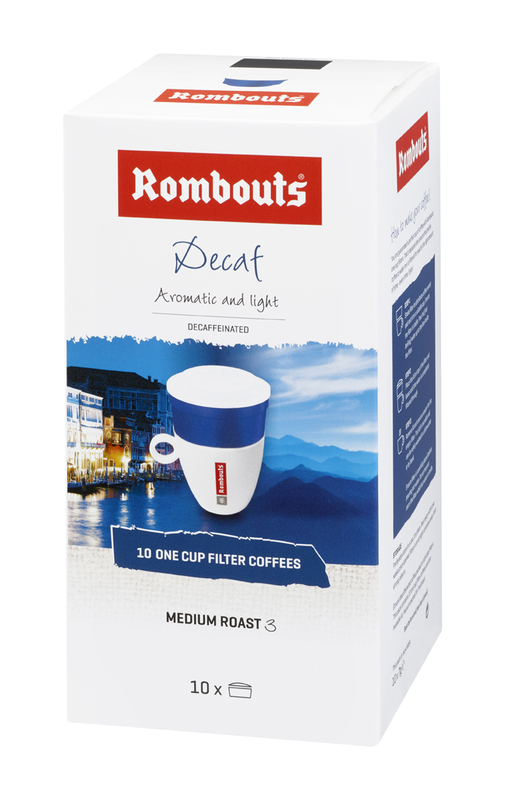 Meanwhile, just to make sure you have a wonderful Christmas Rombouts have offered a whole selection of their products for one lucky London Unattached reader. Not only will you get 7 packs of one cup filter coffees so you can try all the different coffee blends they are also sending 4 packs of ground coffee, a keep-cup, tote bag and some of those delicious speculoos biscuits to go with your perfect cup! That’s about £50 worth of coffee and should be enough to keep any household going for a few months! Rombouts is a Belgian coffee company and a royal warrant holder there. I love the way their company has constantly innovated and added new products to their range – and I love their business ethos. They have a range of fairtrade products and in addition to coffee, they sell tea, biscuits and a range of coffee-related china and accessories. 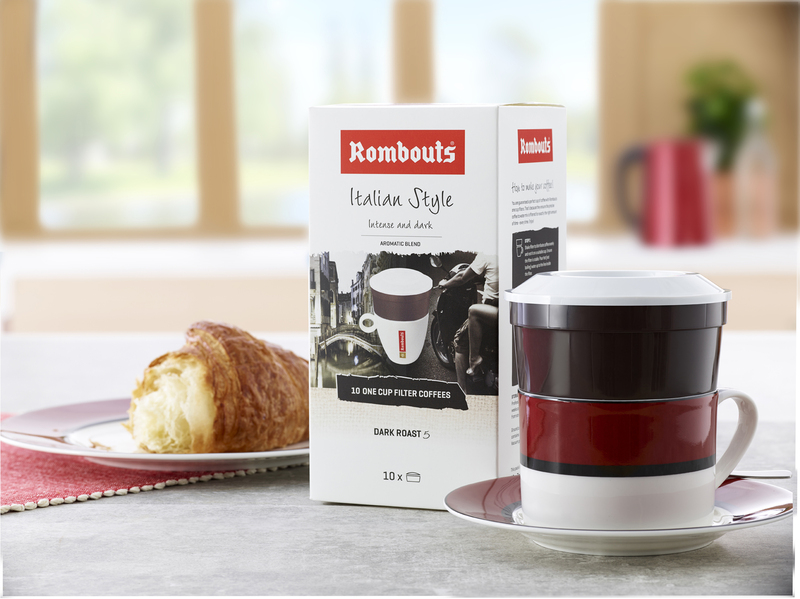 If you’d like to be in with a chance of winning just let me know in the comments below what your favourite type of coffee from Rombouts would be and why. Check out the Rombouts website to find out more about the different options and then keep your fingers crossed! I love the Italian style. My husband is the coffee drinker so I’d choose the Colombian for him!